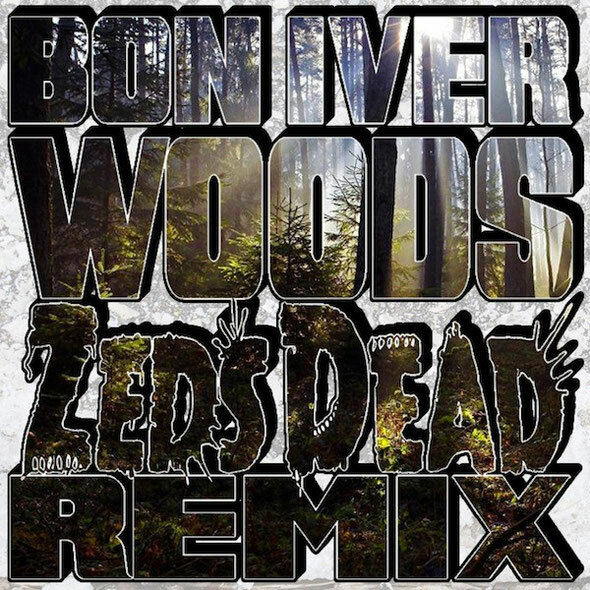 DJs/producers Zeds Dead are releasing their remix of ‘Woods’ by Bon Iver for free download as a way of giving back to their fans who have shown them support this past year. This remix is available for free download on their Facebook page. Zeds Dead gives the track a second life, pairing his soothing vocals with infectious bass-filled synths, taking listeners on a musical journey into the future by giving this indie track a bass-heavy electronic backbone. Utilizing an 8-bit paired with dubby wobbles that slide from low to high, they enhance Bon Iver's vocal melodies, with a remix that portrays their versatility within their productions. Zeds Dead: "We did this tune a few years back but somehow lost the project on an old hard drive. It's from a time where we were doing a lot of bootleg remixes that helped define our initial sound. We did so many tracks that got shelved for one reason or another but we always liked the vibe on this one. It turned up the other day, so we polished it up and are giving it away for free to celebrate." To grab the remix, check out their Facebook page.